Published: Nov. 23, 2015 at 07:47 p.m. Updated: Nov. 24, 2015 at 03:27 p.m. Opportunity is the name of the game in fantasy football. Talent matters, of course, but we want players who see a healthy volume of targets and touches to anchor our lineups, especially in daily fantasy. Every week in the revamped Opportunity Report, we'll look all the passing targets for every NFL team. See Part one (above link) for backfield touches. With Michael Floyd out and John Brown still less than 100 percent, Larry Fitzgerald shouldered the highest total of the team's targets. Additionally, a backup receiver stepped up, but it was not the one many expect. While Jaron Brown was propped up as a sleeper to monitor, rookie speedster J.J. Nelson saw six targets and sliced through the Bengals secondary. Nelson is a slender 156-pound, but may well be one of the fastest players in the league (ran a 4.28 40-yard dash at the combine). Going forward, it's tough to project much of a role for Nelson, as this was one of just three games where he played more than three snaps. However, Bruce Arains' history with smaller receivers indicates he needs to be on our long term radar. We mentioned in this column last week not to panic on John Brown. Your faith was rewarded if you had to start him this week. It was clear watching the game he is still a tick below 100-percent, but still snagged a touchdown and carried the ball twice. He'll be more than fine down the stretch. The Falcons are playing a dangerous game with sentimentality in keeping Roddy White so involved in the offense. In a growing trend of confusing decisions, White played 76 percent of the snaps and soaked up nine targets. He offers very little at this point. Leonard Hankerson returned, but looked rusty at best. Several passes clanked off his hands, including one on a slant pass at the goal line. He did sneak in for a touchdown a few plays later, but this was a poor showing for him. The Falcons need him to shoulder more than a 15.2 percent share of the targets to increase their overall offensive efficiency. With Matt Ryan playing some of the worst football of his career, it's hard to trust any of these ancillary players in Atlanta, regardless. While Kamar Aiken and Crockett Gillmore looked well on their way to establishing themselves as every week starters in PPR leagues, the season-ending injury to Joe Flacco sharply changes that course. With Matt Schaub set to take over the helm, we may have to scrap any idea of usability from this offense for fantasy. Schaub looked completely incapable of leading an offense the last time we saw him play. Continue rostering both Gillmore and Aiken, but be ready to drop them at a moment's notice. Tyrod Taylor had more deep balls sail through the wind, and suffered a late shoulder injury. As a consequence the Bills passing game was just a train wreck throughout the night. Sammy Watkins is a talented receiver, but did not get the best of Malcolm Butler on Monday night. He hasn't done much to prove he's the type of player his team should just target regardless of situation. And they haven't. That's all pretty odd considering what they gave up to get him. Watkins has some strong matchups down the stretch, but he doesn't have the locked in market share of a low volume pass offense where you can trust him as anything more than a WR3. With Corey Brown out with a shoulder injury, Devin Funchess made his first career start and saw 23.5 percent of the team's targets. Overall, Funchess looks much better than he did early in the year, and Cam Newton clearly wants to keep him engaged and feed him in this offense. We'll monitor Funchess' playing time when Brown returns, as he's no lock to hold onto this target level on a weekly basis. Remember, this will certainly be the high-water mark for the Carolina wide receiver corps against a broken Washington secondary. However, Funchess should be owned across leagues and the Panthers are actively trying to involve him in the offense. Another week and Zach Miller once again out-produces Martellus Bennett. At this point, we should consider these two co-starters, at worst. Reports surfaced this morning that Martellus Bennett sustained a rib injury in Week 11. With the Bears on a short week, Miller could have this gig all to himself, and set up for a big Thanksgiving game against Green Bay. Marquess Wilson has no value when Alshon Jeffery plays. But is someone to monitor for dynasty leagues. He's still young, despite playing multiple seasons in the league, and is playing really well this season when he gets targets. The Bengals passing offense is becoming predictable for fantasy, but in a negative way. A.J. Green's targets are not of enough quality for him to return his expected value every week. Andy Dalton sent him some hospital balls in this one. Marvin Jones has a regular target share, but is reliant on the big play to return investment for your lineup. He's essentially the AFC version of Terrance Williams, right now. When Andy Dalton looks the way of other players, Tyler Eifert becomes touchdown dependent, but luckily he's one of the NFL's best red zone threats. He's the only one you start with confidence every week. One of these players will blow up every week if Dalton is playing well, but this week it was Giovani Bernard. Don't expect to rely on these players for steady value going down the stretch run. With Tony Romo back, Terrance Williams remerged in the offense. We know the deal with him. He needs to hit a big play to return value, as he just doesn't ever get the target loaded needed to have consistent production. His 14.3 percent share of the offense is about what we can expect every week. However, Romo is one of the NFL's most efficient passers, and with him leading this passing attack. Williams is worth a spot on you bench for favorable matchups. With Brock Osweiler under center, the Kubiak offense was in full swing in Denver. Historically, that passing game emphasizes a No. 1 wide receiver and the tight end position. To no surprises, Demaryius Thomas led the team in targets, and the tight ends combined for a 44.4 percent share. The team targeted Vernon Davis in a trade to play a big role as the team makes a run at the Super Bowl. With this change in offensive philosophy, and with more time in Denver under his belt, we can start relying on Davis for some steady tight end production. We'll have to see how Emmanuel Sanders return from injury shakes things up, but expect the concepts of this passing game to stay static. With little on-field reasons to reinsert Peyton Manning back into the lineup (barring an Osweiler collapse), this is what we should see going forward. In a favorable spot for him, Eric Ebron failed to deliver in a major way. He dropped a perfectly thrown ball for a touchdown, and Matthew Stafford never looked his way again after that. Much of Ebron's production leading into this contest was fluky, and garbage time driven in nature. He's impossible to trust going forward, and more showing the flaws that held him back in college, rather than improvement at the pro level. James Jones donned a hoodie and remerged as a viable threat in this offense. His big day was likely the result of another injury-filled day from Davante Adams, and another ineffective outing from Randall Cobb. We know better than to rely on Jones, but if a frustrated owner dropped him after a rough stretch, he's worth scooping up. Davante Adams is a solid contributor for this offense, but must remain in that role. As a complimentary play, not one soaking up 21 targets, he can have value for this team, albeit not much for fantasy owners. Intriguing developmental talent Jeff Janis played 20 snaps and saw two deep targets. He's a player to watch with Jared Abbrederis banged up and the players ahead of him continuing to fall flat. He's one of the more athletically gifted players in the NFL. Continuing on his quest to prove he is a premier NFL receiver, DeAndre Hopkins absolutely worked over Darrelle Revis in this game. Hopkins is matchup-proof, and a complete star; there's nothing he can't do. In Week 12, he squares off with the Saints secondary. 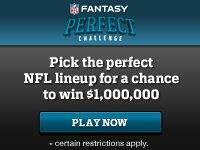 Hopkins may well break the record for daily fantasy ownership percentage. A number of analysts believed Donte Moncrief would be left for dead with Matt Hasselbeck as the starting quarterback. However, he led the team in target share, and made a few impressive catches. He's the better all-around talent than T.Y. Hilton, who loses more with Andrew Luck and the big play absent from this offense. Moncrief is still worth a bench stash in the hopes that Luck returns in time for the fantasy playoffs. The whole output of this passing game is depressed with Hasselbeck starting, but at this point, we've seen enough to feel comfortable with him keeping at least one of these player's floors afloat a week. With Allen Hurns coming into this game nursing a wealth of injuries, Julius Thomas soaked up his share of the passing targets. However, outside of a red zone touchdown, Thomas was largely ineffective. He looks heavier than in year's past and isn't running with any semblance of smoothness. We would not recommend chasing the points and name here. In a game where the eye-pooping big play and red zone looks foolishly never came, Allen Robinson provided steady production. He makes a case every week why he's one of the best wide receivers in the NFL, and still just scratching the surface of his potential. He hasn't seen less than 20 percent of his team's targets since Week 1. There are not many more high-end, but mixed with good safety wide receivers in fantasy. While Travis Kelce finally sees the target share the fantasy community always wanted (29 or 28 percent the last three weeks), the size of the offensive pie just isn't big enough in Kansas City right now. If they have it their way, and they are winning games, 25 passing targets is just fine by them. With the defense playing as well as it is, and the running game looking more plug-and-play than ever, it will be hard for both Kelce and Jeremy Maclin to have strong chances to unlock their weekly upside. Albert Wilson remains one of the better deep dynasty stashes around. He's a talented player who impresses and produces any chance he gets to see a fair amount of targets. While it won't happen on this team as currently constructed, he's a player to monitor as his career develops. Jordan Cameron had a fine day in snaring a red zone touchdown, but this was only the second game since Week 6 that he saw more than three targets. It's not worth chasing the points here, despite the name. Rishard Matthews also continues his fade from the forefront of this passing rotation. He's not a regular fixture at the top of the passing pecking order, with Jarvis Landry and Lamar Miller owning the short areas of the field. With high-upside running back stashes the focus going forward, Matthews is a player you may find is expendable soon. A word of caution form this game: this was only the second time all season Teddy Bridgewater threw more than 35 passes. As such, this will prove a clear outlier game in terms of volume for the pass-catching threats here. With that in mind, there is little reason to expect a player like Kyle Rudolph to put forth an effort like this again. Stefon Diggs has stabilized into a WR2 after massive weeks to start off his career, but that's all we will expect to hold steady after such an outlier box score like this one. Outside of Danny Amendola and James White, the Patriots pass catchers were frightfully inefficient. It's time to dial back expectations for this unit in fantasy. It's hard to lose two of your best offensive weapons and still keep the efficiency of the whole pie intact. Teams are keying in on Rob Gronkowski, selling out to stop him while unafraid of the other players in this offense hurting them. As a No. 1 outside receiver, Brandon LaFell can get erased by top-flight man coverage cornerbacks. Amendola proved a fine replacement for Julian Edelman, as we expected. Yet, he suffered an injury of his own and did not return. Former practice squad player and talented Cal prospect Chris Harper replaced him, and is a name worth watching. All in all, this offense just won't run as smoothly with this personnel as it did in September. Adjust your fantasy plans accordingly. There's little nuance to this one, as this is a two wide receiver offense run though Eric Decker and Brandon Marshall. Don't feel obligated to pay much attention to any ancillary players, as they aren't offering enough to even bring fringe roster consideration. In what was his worst game as a pro, by far, Amari Cooper took a clearer backseat than ever to Michael Crabtree. The veteran wideout led the team with a massive 44.4 percent share of the targets, but was victimized by poor play from his quarterback and a classic "catch/no catch" we're seeing far too often in the league. The Raiders offense as a whole hasn't been at its true explosive best the last two weeks, and faces a tough schedule down the stretch. Cooper, and even Derek Carr, may be worth selling as we near the trade deadline. Clive Walford led the team in tight end snaps yesterday, and saw a target in the end zone. He's a worthwhile stash if you're desperate at tight end, and someone to monitor for next year in an improving offense. Zach Ertz sustained a nasty looking concussion in this game, which led to a second strong outing from Brent Celek. He led the team in targets, and Mark Sanchez has routinely used the positon more than other quarterbacks in Chip Kelly's offense. Rather quietly, he's worth playing in daily fantasy and streaming in season long leagues with a good matchup against Detroit on Thanksgiving. Jordan Matthews did not recapture the chemistry shared with Sanchez last year, as he played 100 percent of the snaps but saw just four targets. His one good game against Dallas several weeks ago can now be seen as the clear outlier. With passing productivity at an all-time low for San Diego on Sunday, it's hard to know what to take away from this. Both Antonio Gates and Ladarius Green came into the game questionable, and their reemergence would be a big boost for Rivers and company. However, at least for Gates, with injuries mounting and his age, it's fair to wonder if those first two games back from suspension are the last we'll see of his ceiling. Shaun Draughn led the team in passing targets. If you needed any more evidence that all Blaine Gabbert led receivers and tight ends belong on your redraft wavier wire, and are untouchable in daily fantasy, there you go. While this was and likely will be for the season, the outlier game for Seattle's passing attack, there are some takeaways here. Tyler Lockett is coming on for this team. He snagged two touchdown receptions and tied for second on the team in wide receiver snap percentage. He's a strong speed option out of the slot, and bears monitoring, though likely not lineup consideration, down the stretch. Doug Baldwin has the best chemistry with Russell Wilson, and had strong PPR outing to go along with an explosive Wek 10 game. He is a fine low-ceiling, high floor receiver flier in deep leagues. If anything, we know Jimmy Graham is unlikely to lead this passing attack, for whatever reason. Nothing to see here. We thought Brian Quick would emerge after leading the team in targets last week. He played 19 snaps. With Vincent Jackson back, and the team controlling the game, Mike Evans did not get a chance to soak in the massive target level he held the last four weeks. Jackson's return shaves a bit off the high ceiling Evans had when he was seeing 45 percent of the team's targets. Tampa Bay wants to control the offense on the ground, which is good for their chances of winning games, not Evans' fantasy owners. However, let's see how the distribution looks in a closer game, perhaps on the road in Indy Week 12, before putting him back in the WR2 group. The Titans didn't target a receiver in the second half until the final drive. Even with all the injuries, they showed no inclination to rely on Dorial Green-Beckham as a regular contributor. They are still far too concerned with his inconsistencies and hiccups on the mental side. Keep an eye on Kendall Wright when he returns. He's the best fit with Marcus Mariota stylistically, and could be a sneaky good play in DFS down the stretch when he's healthy. DeSean Jackson and Jordan Reed are the only relevant players in this passing game, unless Kirk Cousins is at home in a cakewalk matchup. Yet, Jackson is still feast or famine, he caught most of his production on one long bomb, and Reed sustained an MCL injury in this game, but did play through it. Both occurrences sound about par for the course with both players' careers.